Whether you’re installing a residential or commercial irrigation system, the installation process by My Sprinkler Guys is quick and easy. Within days we can have your system up and running. Our crews take pride in providing the cleanest installations around. We are dedicated to keeping your lawn as neat as possible, with minimal disturbance during the process. Our trench-less machines are specially designed to pull pipe under-ground, while not creating a mess above-ground. Small cut lines will be all you can see when we are finished with the installation. My Sprinkler Guys offers warranties on all service and parts. 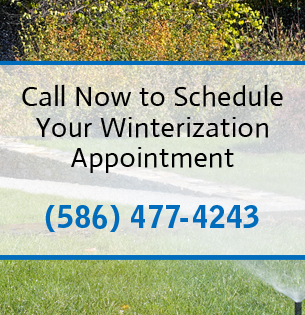 In addition your installation includes one Fall Winterization and one Spring Startup at no additional charge. Please be sure to view our Consumer Checklist before you hire any Irrigation Contractor. SAVE MONEY: If installed properly, watering your lawn with an in ground system can cut down on wasted water. Not only does this save you money on your water bill, but also helps in times of drought. We conserve by watering during times when wind, sun and other evaporation factors are minimal. Your healthy, thick lawn also helps control unwanted weeds and that means less chemicals are needed for weed control. SAVE WATER: No more over watering plants while trying to get the rest of your yard green. Proper zone set up will allow you the freedom to control how much water you put on specific areas of your lawn. SAVE TIME: No more dragging a hose around the yard or coming home after a vacation to a burned out yard. The controller waters automatically for you whether your home, asleep or on the golf course. INVEST IN YOUR HOME: A professionally installed sprinkler system will increase your property value. It is a permanent fixture designed to maintain your landscape and maximize its beauty.